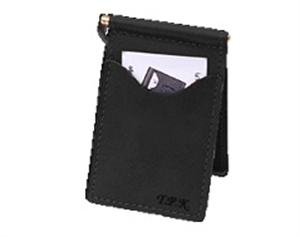 This slim wallet is designed to easily fit in your front pocket to discourage back pocket use. Wallet is 4-1/2" X 2-3/4"
Wallet is brown and does NOT contain the caduceus as shown in the picture. This slim wallet is designed to easily fit in your front pocket to discourage back pocket use. Wallet is 4-1/2" X 2-3/4"